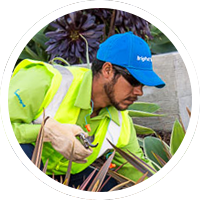 BrightView Landscape Development, the nation's largest Landscape and Site Construction Company, has made the vision of the most prominent developers, landscape architects, general contractors, homeowners and public agencies a reality. We blend art and science with the organizational skills and teamwork to create landscapes of lasting beauty and value. We specialize in large commercial landscape installation, working in the most exciting and high profile construction jobs. Ability to lift and carry 40 lbs. We are drug free and an EOE by choice.